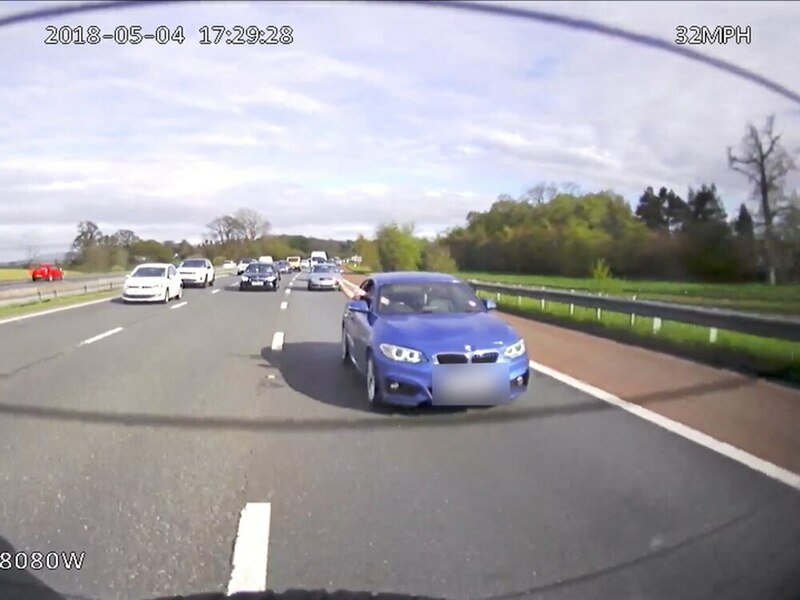 A ‘careless’ BMW driver has been handed six points on his licence on top of a fine after waving his arms out of the window – while behind Highways England traffic officers. Officers said Dillon’s proximity and lane change during the incident on May 4 gave them the impression he was trying to get past the roadblock. Having followed the traffic officers, Dillon can then be seen taking his hands off the wheel then waving them out of the window. Interviewed by Cumbria Constabulary, he initially told police officers he felt his driving wasn’t careless – before being shown the footage. 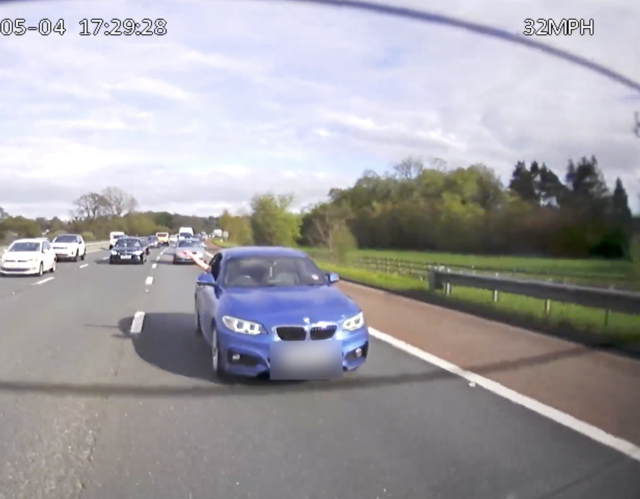 He then accepted that the distance between his car and the Highways England vehicle amounted to driving without due care and attention. He said he couldn’t recall sticking his hands out of the window, but admitted it was a “stupid act” and couldn’t provide a reason other than being annoyed at the roadblock. Afterwards, PC Kevin Bestford of Cumbria Constabulary said: “The Highways England traffic officers were carrying out an important piece of work to keep all road users on the M6 safe. A successful rolling roadblock requires concentration and skilled driving, and the last thing these officers needed to deal with was someone driving far too close, attempting to pass and waving their arms out of the car window.